I teach the Sankaran Method in Germany since 2004 and I enjoy giving seminars a lot! I thoroughly prepare well chosen video cases and materials beforehand. Those video cases will be discussed with the participants during the seminar. The cases and their follow ups demonstrate the highly efficient work with the Sankaran Method. on the basis of the 10 miasms, kingdoms and subkingdoms and the 7 levels of experience according to Sankaran. I teach with finely edited videos to allow the participants to witness the unfolding of the case. This is substantiated with powerpoints, written material on the case, case analyses and group themes. At times I show a few minutes of video about the natural source of the remedy – so as to make the teaching a clear, vivid and effective learning experience. English video cases are always accompanied by a word– by word German script. Since 2009 I do not teach “purely on the subject” only, but in a way I would like to call “interactive teaching”. This comprises carefully selected exercises for concentration and training of perception and communication skills. In basically all seminars I conduct a life case taking session. For many of the seminar participants this is quite an “eye opener”: the atmosphere, the meditative interaction between the homoeopath and the patient becomes a palpable experience for everybody in the room. Many participants get a feel of the depths of this way of casetaking only then – it wasn’t evident from books and paper cases. The case analysis – takes place right after the life case, at times it is finalised the next morning with a power point presentation. The follow up is presented (as much as possible) in the teaching by email and in next years seminar. Have a look at dates and places in the seminar calendar. More about the seminar 2012 can be found at content, and you are welcome to download the seminar flyer . In June 2012 the seminar will take place in Bremen, Kiel and Emsdetten (near Munster). 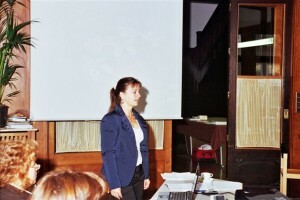 The “Basiskurs Hypnotherapy” is planned for 29, 30th June and July 1st near Saarbrücken. For details for registration go to registration, organisers please . With these minutes of videos you are welcome to get a glimpse of the atmosphere of my seminar Okt 09 in Bremen “Insights into the plant kingdom”. (in german). Your are most welcome to have a look at the contents of my recent seminars 2004 – 2011 . In October 2012 I will again be in Trier and Duisburg, and a new 6 d Intensiv- Seminar is set up for October near Barcelona, Spain.October. I hope you will enjoy some impressions of seminar participants . Over the years I collected beautiful and instructive video cases and prepared extensive written materials for beginners and advanced students of the Sankaran Method. The great variety of videos illustrate the different themes of basically all the different kingdoms and subkingdoms. I am looking forward to further possibilities for seminars in german language. I could teach in English and French as well. I would be happy to welcome you on one of my seminars and …get in touch with me for some more questions and answers via contact.